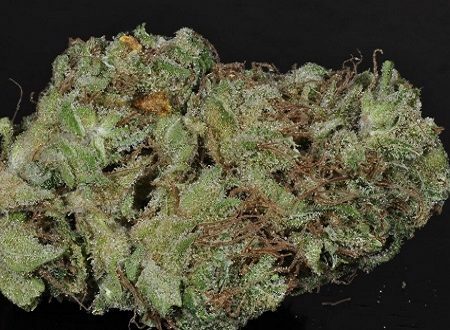 For lovers of Bubba Kush, this strain is a must-try, especially for the aroma and taste package, which is potent and reminds us of the best examples of that strain we’ve ever had. The effect is a little more uplifting and active than Bubba traditionally is, but this 303 Kush still had quality body relaxation properties that made the incredible mood it put us in even more enjoyable. Selected by Colorado’s Hill Billy (and named for the common telephone area code, 303), originally bred by Zombo. We were definitely “wowed” by the aroma that this Colorado-born cross possessed, as it was extremely pungent and reminded us of some of the best coffee-chocolate Bubbas we’ve had. There were notes of smokey bourbon, anise, and a backing sharp chemmy quality that came out post-grind, making this one of the most complex aromas we’ve encountered in some time. If you’re a fan of the dank, spicy smells of Bubba Kush, this strain will likely surpass most examples of pure Bubba in your mind’s eye, as it has in ours. While it was nearly impossible to live up to the aroma, the taste did come close to matching it, though it lost some of the added post-grind complexity and was mostly Bubba in profile. 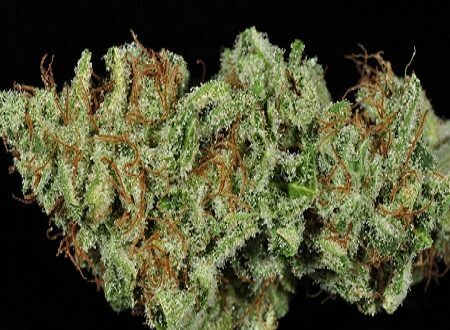 One of the great things about Bubba Kush is the “greasy” flavor which seems to coat the mouth and sinuses — this sample was no exception there, and we could taste it lingering for at least a half hour into the review. The smoke had an interesting thin, mentholated quality to it and really didn’t give us the urge to cough at all, even on the later hits. 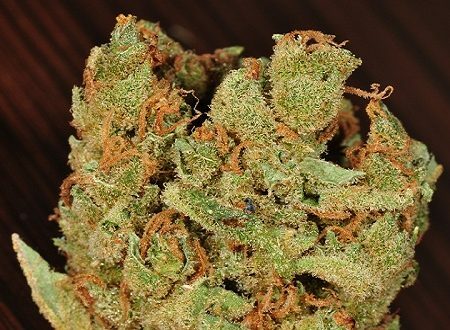 One word kept coming up during our reviews of this strain, and that was “fun” — this one just really improved our moods almost immediately, making us feel social, extroverted, and creative. 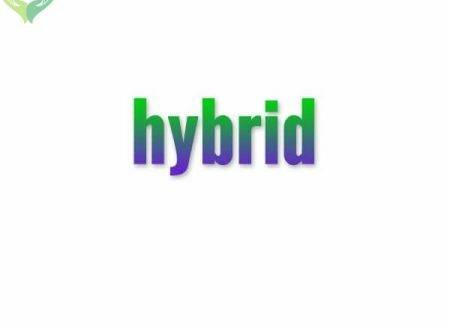 It definitely felt Sativa in profile to start, increasing energy and bordering on racy at times (never anxious though), with a heavily buzzing body and pressurized face/eyes. The happy mood and relaxed body which made up the majority of the experience post-30 minutes wasn’t conducive to working simply because we wanted to enjoy life more than concentrate on anything. This strain was great for some mind-wandering and following your fancy, so to speak. After the main potency passed around 1.5 hours into the experience, we felt more able to actually relax and concentrate if needed, and the body relaxation feelings increased.